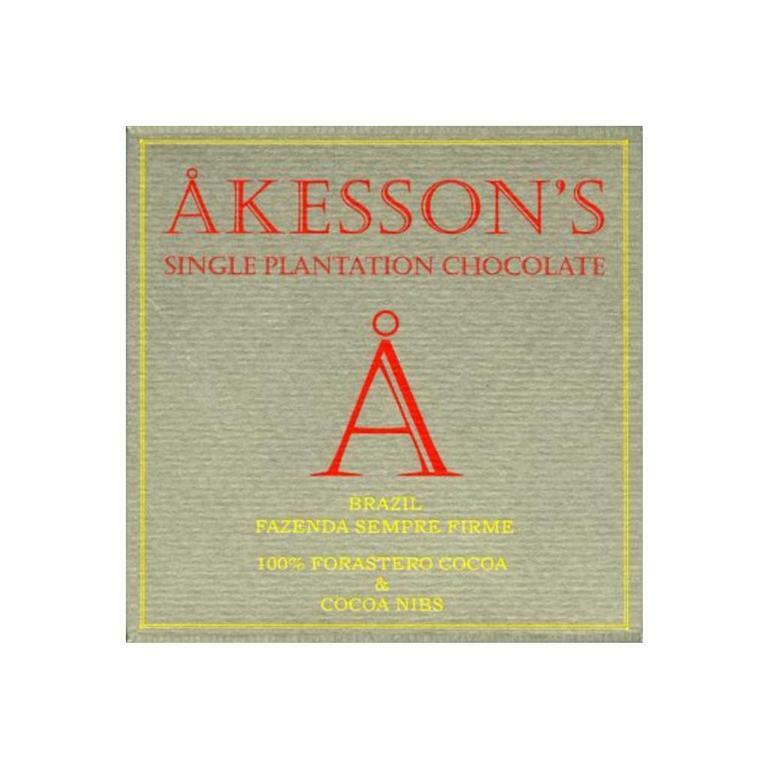 The chocolate that Akesson's has developed from Brazil's cocoa beans has a woody and earthy profile. 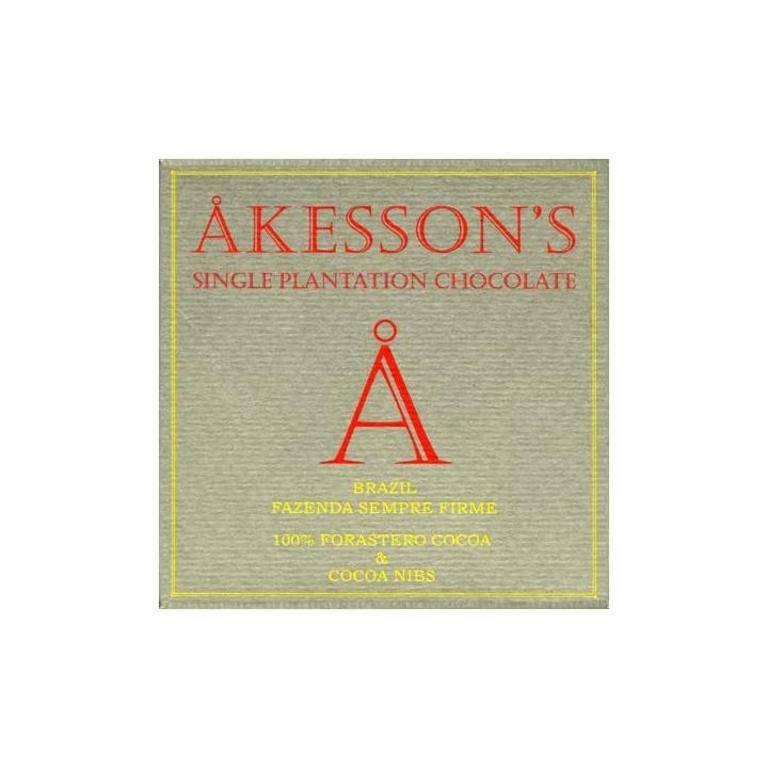 The cocoa nib of this chocolate bar, add a crisp and raw texture. In April 2009, Bertil Akesson and his Brazilian partner Dr Angelo Calmon de Sa, purchased the historic Fazenda Sempre Firme in Bahia, Brazil. This 120ha cocoa plantation is right in the middle of the Mata Atlantica, the wild forest with the highest biodiversity on earth. They were able to recreate a social structure and their best reward is to hear the community referring to the Fazenda as a ‘Paraiso’ (paradise). They’re growing there the traditional and astonishing Forestero cocoa variety called ‘parasinho’ that made the glory of Bahia at the beginning of the 20th century. Ingredients : 100% organic, cocoa beans, cocoa butter, cocoa nibs (7%), emulsifier (GMO – free soya lecithin).